Warnings and additional info: Strong Language/Swearing, OtherMay contain adult content/topics. Nobel Prize-winning comedian JJ Whitehead returns with a show about lying. 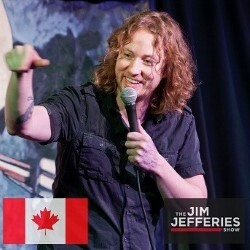 Featured on The Jim Jefferies Show and The Comedy Store. BBC Comedy Award winner. Stand-up packed with Whitehead's usual adventurous sense of humour. 'He lures you into thinking that you haven't paid to watch him but you're just having a drink with a highly entertaining friend at the pub. This is a man who shouldn't be overlooked' (Metro). 'Few late night comics look this good' (Scotsman). 'A wicked sense of humour' (One4Review.co.uk).